The Uptown Girl singer gave an interview to Howard Stern where he also revealed that he once came close to forming a supergroup with Sting. Billy, 64, said his experience with heroin had been the inspiration behind the song Scandinavian Skies from his 1982 album The Nylon Curtain. He admitted: "It got me so high, I didn't know how to deal with it. It scared me." 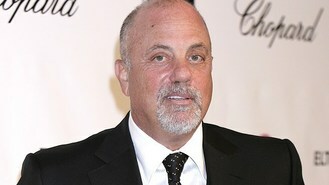 The Piano Man star also said he had talked about forming a group with Sting, Don Henley and "another guitarist". He said: "I liked being in a band. Someday we might put together a silly supergroup." In the interview, where Billy admitted to having missed Jimi Hendrix at Woodstock because he left after a day and a half, Billy said he didn't have plans to release new music but had recently recorded a Christmas song with Johnny Mathis. "He sounds great!" he added. Billy sang and played piano, and was joined by stars including Pink, Idina Menzel and Boyz II Men who performed some of his hits.